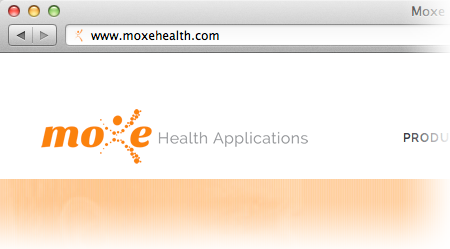 Worked with Designer, Daniela Burr, to build a single page website for Moxe Health to showcase their services. Website is built using HTML5 and CSS3, including Media Queries for Responsive Design Layouts for 7-10 inch tablets and smartphones. 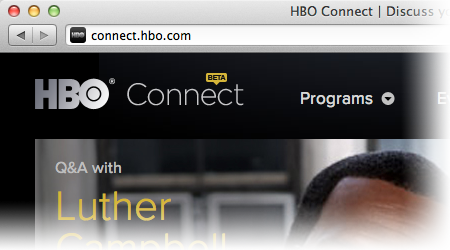 Web Developer at connect.hbo.com for HUGE Inc.
Front-End Web Developer at HUGE Inc. where I update the website a with a new promotional template, update internal navigation buttons and improved social media streams. 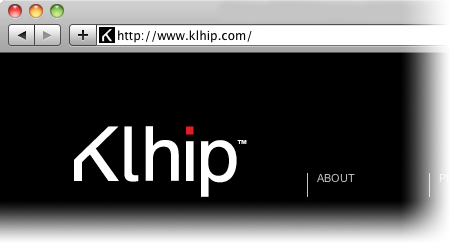 Built within the Django framework with a custom CMS for client to easily update content. Facebook, Twitter and Instagram content streams via Mass Relevance. Web Developer at www.comcast.com for HUGE Inc. Web Developer at HUGE Inc. where I assisted in building the redesign for the Comcast website experience including leading the development of the business services webpages, residential promotions, residential help and support, and several mobile iterations. 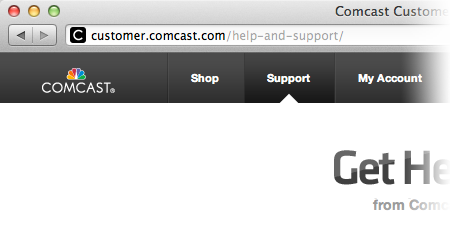 All development was done with flat pages and templates that were later integrated by Comcast's Development team. 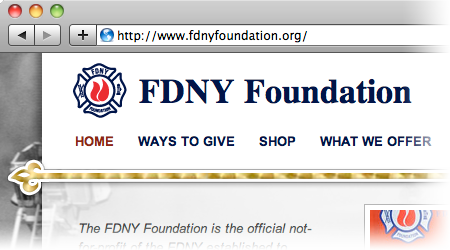 Pro bono Front-End Developer for the Taproot Foundation to help build the FDNY Foundation's website redesign. Built on top of Wordpress, the redesign incorporates a CMS with custom plugins to allow the foundation to update without ongoing web support. 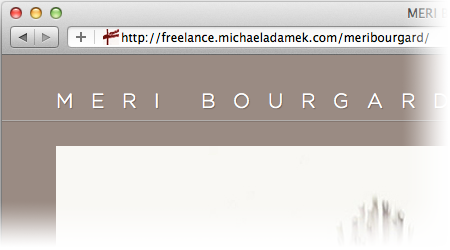 Worked with Designer, Daniela Burr, to build a portfolio website for artist Meri Bourgard to her specifications using HTML5 and CSS3. Currently the site has been replaced with a similar but new layout. Worked with Amy Lee, an old co-worker and friend, to help her build a portfolio site for upcoming grad school interviews. 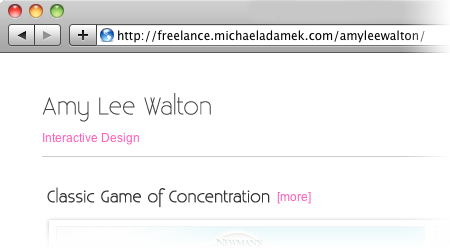 She has since then integrated the original layout and functionality into the portfolio on her design blog. Short-term contract that was easily completed during the evenings and weekends. A great example of straight PSD to HTML that was handed back to Design Hovie Studios to complete.